32 piece set for the experienced locksmith. Professional quality tool set of 32 tools, including an assortment of rakes, diamonds, balls, hooks, tension tools, and key extractors. Combination of plain steel picks and picks with riveted steel handles. SKU: 32PickSet. Category: Lock Picks. Brands: HPC. 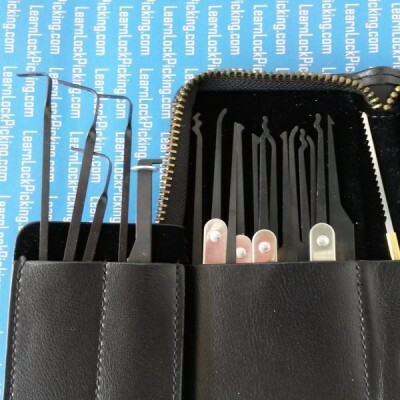 The Superior Lock Pick Set for the experienced locksmith. 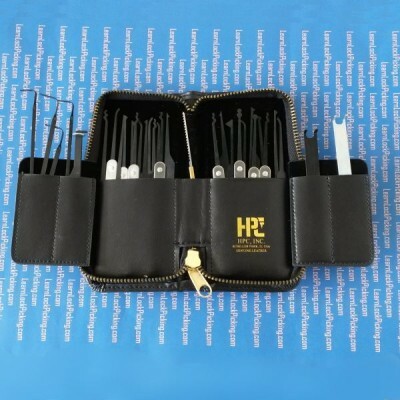 Professional quality tool set of 32 tools, including an assortment of rakes, diamonds, balls, hooks, tension tools, and key extractors. Combination of plain steel picks and picks with riveted steel handles. 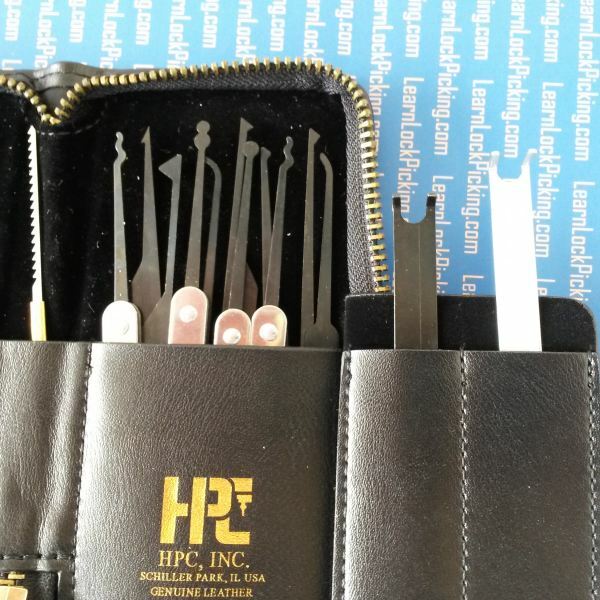 Lock picks come in a genuine leather zipper case. Each lock pick is made of a hardened spring steel, tempered to the perfect degree of hardness. Received kit.Packaged nicely. My first set of picks, very nice set to start with. Would recommend this as a good starting kit for the first timer. Start simple then increase.